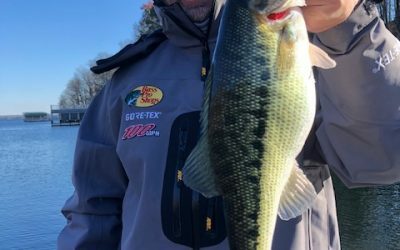 Enjoy weekly video fishing reports from Jimbo that will offer you very detailed and specific information regarding how Jimbo has been catching fish this week! 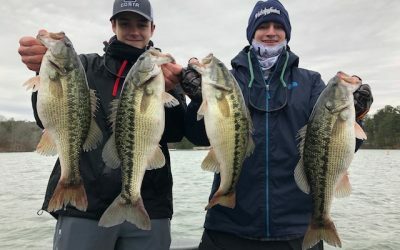 Best Patterns, Lure types, sizes, and colors will all be detailed, in addition to specific presentation insights and “How To” direction that is sure to make the difference! Also included will be information on types of locations that have been targeted for each pattern discussed, coupled with MAP-DENOTED LOCATIONS that have been producing fish THAT WEEK! Further, Jimbo will then provide a methodology of approach for what he anticipates to happen with the bite in the days ahead – “Jimbo’s Future FishCast!” That’s right, each week Jimbo will give you his prognostication as to how he would approach the coming days based on everything he has experienced on the lake that week! He will factor in current lake conditions, current patterns, the current weather forecast, in addition to moon phase influence, to give you his best guess on what the fish will be doing in the coming days. While this service is not a replacement for a guide trip with Jimbo, and knowing you will always learn more with personal, on the water instruction, we do hope that you choose to join Jimbo right here each week for a 5-7 minute video that will most certainly make your valuable, and often limited, time on the water as productive and enjoyable as possible! Thank you! Please note the service will be offered 46 of the 52 weeks of the year (will not include some August reports, and as well will allow for holidays and 2 weeks of vacation). Bonus videos will be provided on occasion as well to discuss items of special interest to the Lanier Angling Community. How Can I Join? 3 Easy Steps! 3: Enjoy Jimbo’s Weekly Videos! Yes! I want to purchase an entire year subscription in advance for a special price of $11.95 per month ($143.52 total charge) – I will have access to the weekly, in-depth and detailed video fishing reports, INCLUDING LOCATIONS, each week for an entire year from the date of subscription! Yes! I want to have access to weekly, in-depth and detailed video fishing reports, INCLUDING LOCATIONS, from Jimbo at a Special Introductory Rate – $14.95 per month. Have a tournament coming up this weekend? 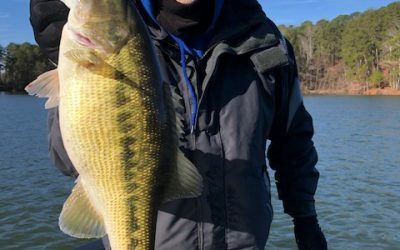 Only Fish Lanier a few times a year? No time for a guide trip? This is the PERFECT Option for You! Be Prepared! Enjoy reading? Check out some written reports!